- Made of premium quality fabric, durable and reusable. 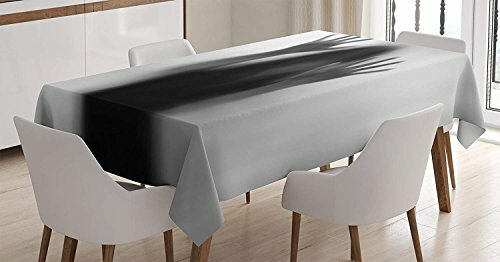 - This beautiful and unique tablecloth is the ideal partner for your dining table. - Perfect for everyday use, holidays, catering, special occasions, dinners, brunches, potlucks and more. - Suitable for dinner table,coffee table,book desk,storage table etc. If you are not 100% satisfied, for whatever reason, please do email us to give us a chance to get it right before leaving a neutral feedback. We appreciate your understanding and generosity! Material : Made of high quality polyester with a soft and smooth surface giving an exquisite feel when touched. Carement : Gentle cycle,hand wash/machine washable. If you have any questions about this product by CHARMHOME, contact us by completing and submitting the form below. If you are looking for a specif part number, please include it with your message.